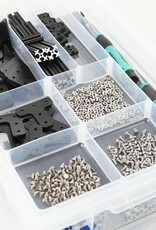 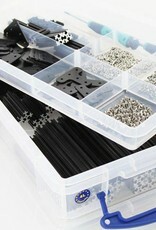 OpenBeam precut kit black anodised holds a variety of lengths. 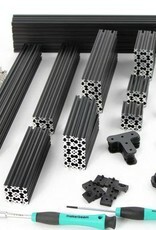 OpenBeam is 15mmx15mm and hollow core. 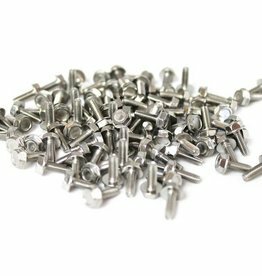 OpenBeam has no threaded ends. 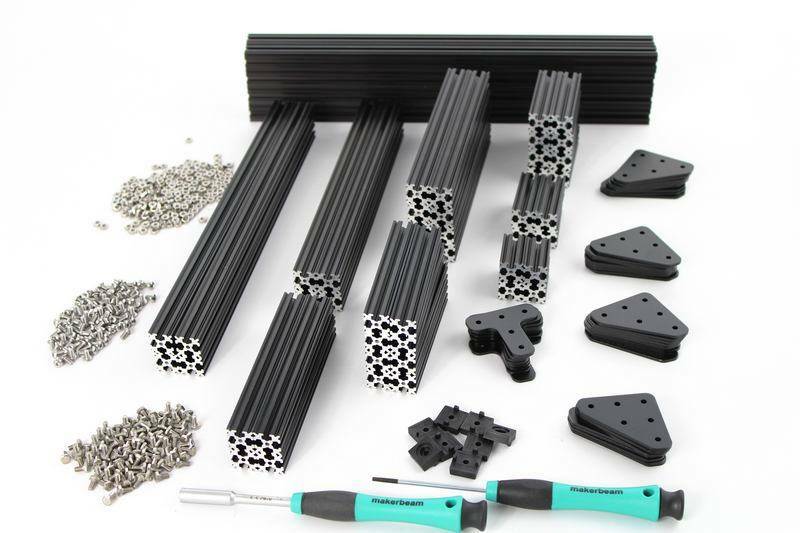 The lengths you will find in the precut kit are 300mm (2 packs), 270mm, 210mm, 150mm (2 packs), 120mm, 90mm (2 packs), 60mm (2 packs), 45mm, 30mm. 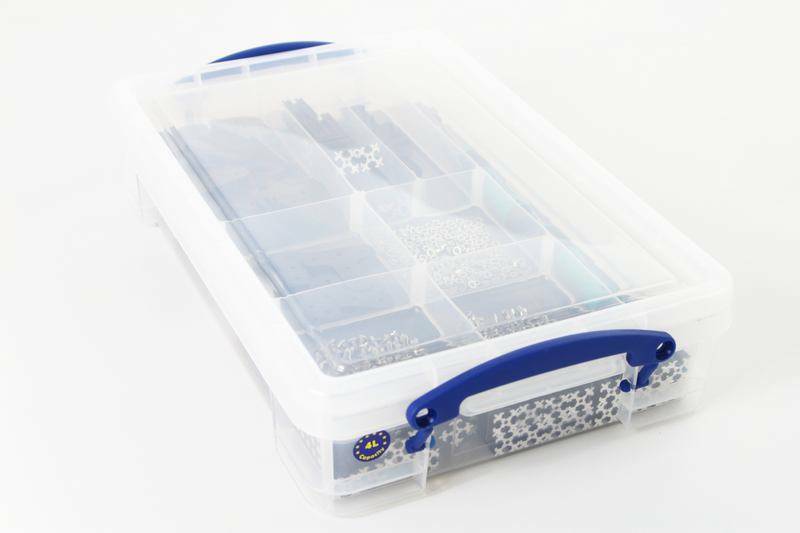 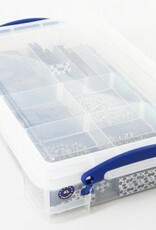 The kit also contains metal L-brackets (4 packs), metal T-brackets (1 pack), OB feet (1 pack), hexagon head screws (1 bag), button head socket screws (1 bag), hex nut driver, hex key driver and nuts (1 bag) and is packed in multi usage storage box with compartments. 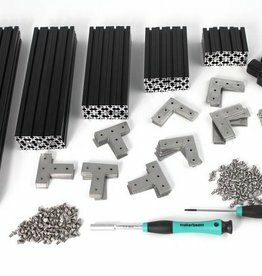 OpenBeam and MakerBeamXL are both 15mmx15mm aluminum profiles and compatible, see our FAQ-list. 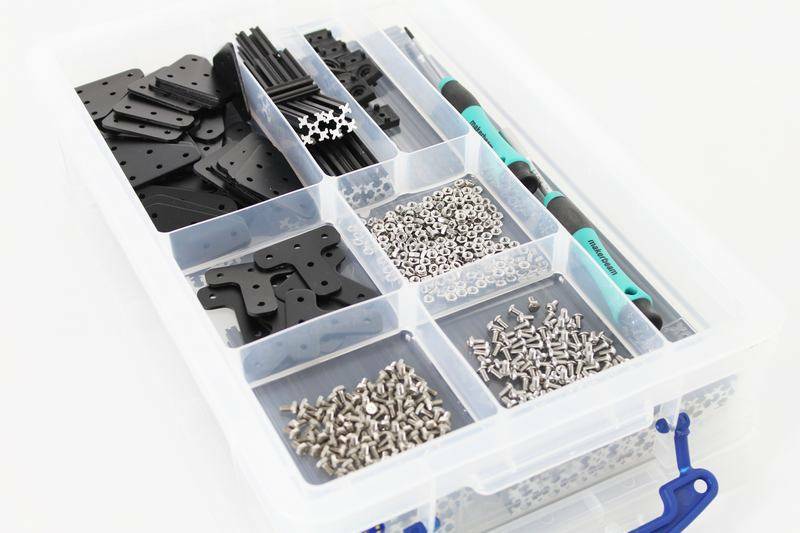 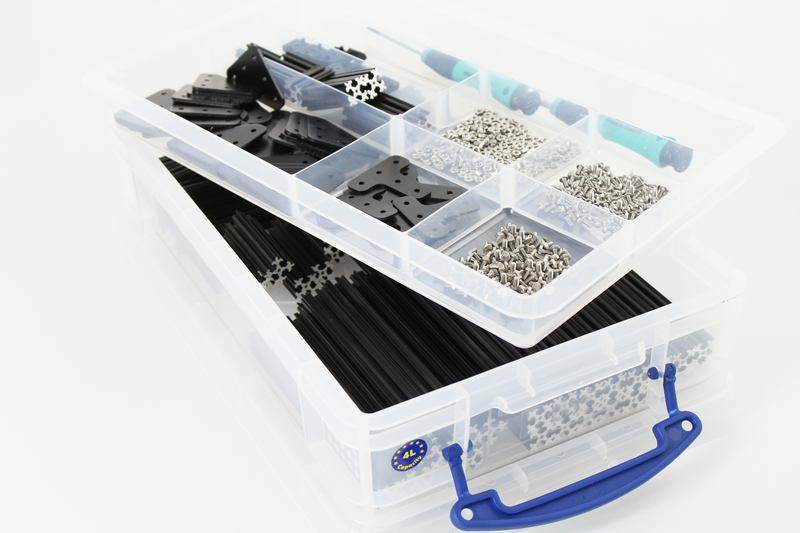 40 black MakerBeamXL (15x15mm) of different lengths, 48 brackets, 1 bag of hexagon bolts, 1 bag of button head socket bolts and nuts packed in a plastic case.